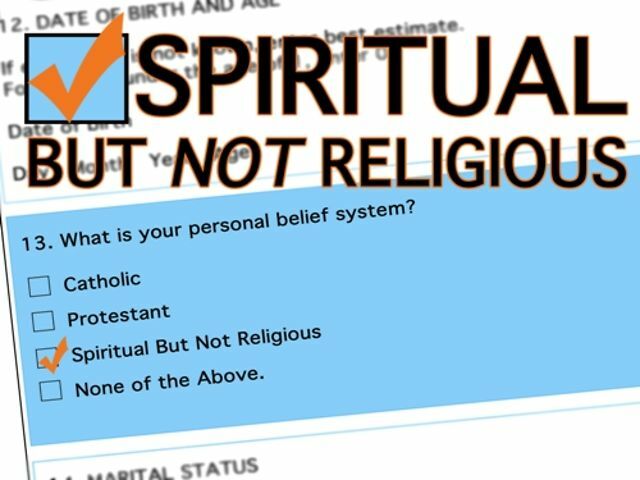 “Spiritual but not religious” (SBNR) is a popular phrase and initialism used to self-identify a life stance of spirituality that takes issue with organized religion as the sole or most valuable means of furthering spiritual growth. Spirituality places an emphasis upon the well-being of the “mind-body-spirit,” so “holistic” activities such as tai chi, reiki, and yoga are common within the SBNR movement. In contrast to religion, spirituality has often been associated with the interior life of the individual. The Church of Spirituality is a new concept, mostly theoretical than practical. Theoretical because the very practicism of it would make it look like a religious system, something that most spiritual people are not agree with. And practical because we can’t deny that churches of this type exists despite the critics. But these guys have found a funny way of portraying it. Enjoy!